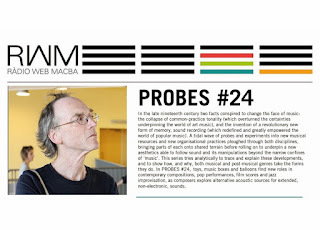 Dopo precedenti disamine di strumenti esotici e arcani, l'eccellente serie Probes curata da Chris Cutler per Ràdio Web MACBA presso il Museo d'Arte Contemporanea di Barcellona si arricchisce di un nuovo affascinante capitolo interamente dedicato al repertorio contemporaneo di composizioni ed esecuzioni per pianoforti giocattolo, scatole armoniche, piccoli oggetti sonori, richiami per uccelli e palloncini: "In Probes #24, toys, music boxes and balloons find new roles in contemporary compositions, pop performances, film scores and jazz improvisation, as composers explore alternative acoustic sources for extended, non-electronic, sounds." In the late nineteenth century two facts conspired to change the face of music: the collapse of common practice tonality (which overturned the certainties underpinning the world of art music), and the invention of a revolutionary new form of memory, sound recording (which redefined and greatly empowered the world of popular music). 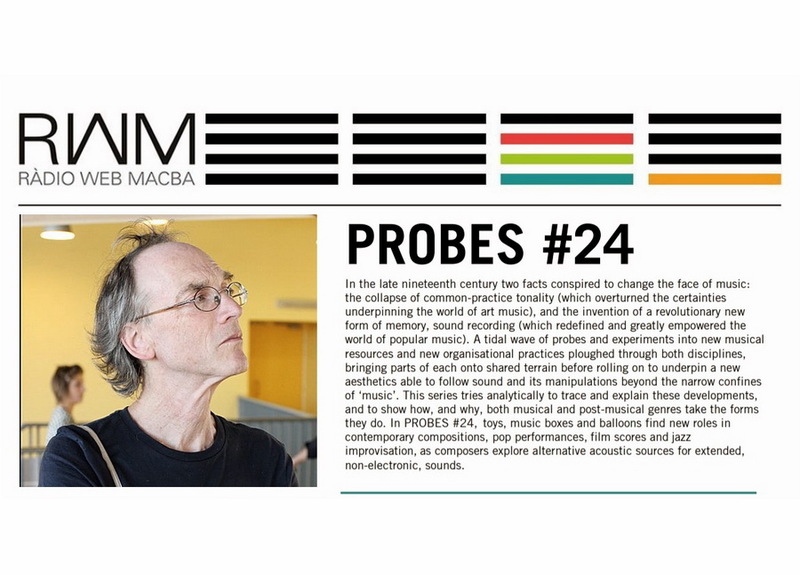 A tidal wave of probes and experiments into new musical resources and new organisational practices ploughed through both disciplines, bringing parts of each onto shared terrain before rolling on to underpin a new aesthetics able to follow sound and its manipulations beyond the narrow confines of ‘music’. This series tries analytically to trace and explain these developments, and to show how, and why, both musical and post-musical genres take the forms they do.